BuzzFoto – This celebrity star of a reality TV show, does his best to get along with his co-stars, but secretly despises them. He tells our source he plans to soon get his own show and leave everyone else in the dust. Not Spencer Pratt. 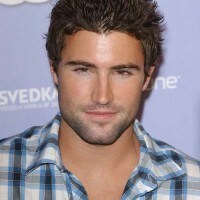 At the time the original item was posted, Brody Jenner had moved from “The Hills” to “Bromance”. He has recently been shopping around a new reality showcasing his relationship with girlfriend Avril Lavigne. Ninja Kitty and Ed were first with correct guesses. Congratulations!